Did you know? About forty-seven percent of the energy used in a home is for space conditioning like lighting and temperature control. 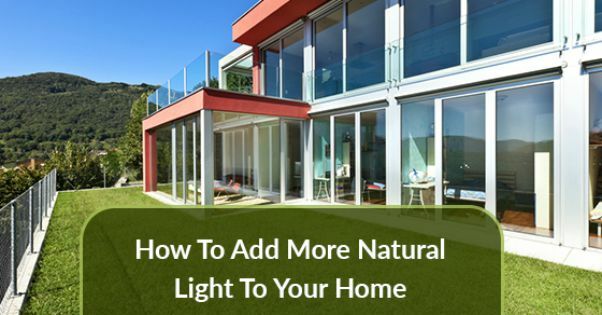 So utilizing more natural lighting in your home can help you cut down on energy costs. However, the benefits of having lots of natural light in your home go far beyond energy savings. Research has proven that being exposed to natural lighting actually helps people be more productive, happier, healthier, and calmer. Natural light has also proven to regulate some disorders including SAD (Seasonal Affective Disorder). Here are 3 ways to brighten up your home with natural light. 1.) Go with Glass: Using glass in your doors is a great way to get more natural light further into your home. French doors are a beautiful and decorative way to let the sunshine in. You can use frosted or tinted glass for privacy or you can use frosted film that is translucent and allows filtered light in. This look is a great decorating hack for internal rooms as well as outdoor windows. 2.) Get Reflective: The more shiny surfaces you can add to your rooms, the more light you will reflect back into the room. Using objects like chandeliers or brass lighting, gold door knobs or silver photo frames, brass candlesticks, mirrors or acrylic clear furniture should become part of your decorating strategy. Large wall mirrors are also a perfect decorating touch to help add more natural light into your space. 3.) Watch Window Coverings: Thick window treatments and curtains often absorb precious natural light. Removing heavy or dark curtains will instantly add light into your dark rooms. Light colors and light weight fabrics all help to preserve your natural light. If you need curtains for privacy, use sheer, light fabrics. Additionally, adding a skylight is another great option for brightening your home with natural light, but they can be rather costly and must be done carefully so as not to take away from your existing architecture. Want more tips for your home? Or are you seeking to buy a home in Goodyear to light up your life? 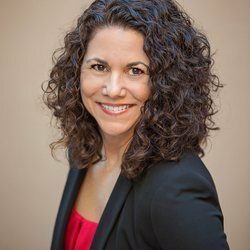 Contact Lisa Bray today!